Botany: Pippalī is a slender aromatic climber with a perrenial woody root, an erect rootstalk, with many jointed branches, the nodes swollen and sometimes rooting. The leaves are entire, glabrous, with reticulate venation, the lower leaves ovate, cordate, on long petioles, the upper leaves smaller, similarly cordate but oblong-oval, petioles short or absent. The creamy-colored flowers are are borne in solitary pendunculate cylindrical spikes, the male flowers longer and more slender than the female spikes, the latter giving way to a cylindrical cluster of small ovoid fruits about 4 cm in length, that passes from green to orange-red in color when ripe, becoming black upon drying. Pippalī is found growing wild throughout the hotter regions of Southeast Asia in evergreen forests, but is also cultivated extensively (Kirtikar & Basu 1935, Warrier et al 1995). Part used: Fruit (Pippalī), root (Pippalīmūla ). • Karma: dīpanapācana, bhedana, kṛmighna, jvaraghna, chedana, kāsahara, svāsahara, kuṣṭhaghna, mūtravirecana, medohara, hṛdaya, medhya, vajīkaraṇa, rasāyana, vātakaphahara (Srikanthamurthy 2001, Warrier et al 1995). Constituents: Pippalī fruit contains a number of constituents, including a volatile oil, alkaloids, isobutylamides, lignans and esters. The volatile oil is responsible for the characteristic odor of Pippalī, comprised of caryophyllene, pentadecane, bisaboline, thujine, terpinoline, zingiberine, p-cymene, p-methoxyacetophenone, dihydrocarveol and others. The pungency,, however, is due primarily to the alkaloidal constituents, including piperine, methylpiperine, pipernonaline, piperettine, asarinine, pellitorine, piperundecalidine, piperlongumine, piperlonguminine and others, as well as isobutylamides such as retrofractamide, brachystamide and longamide that provide for the characteristic tingling sensation and sialogogue properties of Pippalī. Other constituents include the lignans sesamin, pulviatilol and fargesin, the esters tridecyl-dihydro-p-coumarate, eicosanyl-(E)-p-coumarate, and Z-12-octadecenoic-glycerol-monoester, fatty acids including palmatic, linoleic and linolenic acids, amino acids including L-tyrosine, L-cysteine and DL-serine, as well as minerals such as calcium, phosphorous and iron (Williamson 2002, Yoganarasimhan 2000). • Human trials: a formula comprised of Piper longum and Butea monosperma given to patients suffering from giardiasis completely eliminated the parasite from the stool in 92% of the treatment group, and simultaneously decreased the presence of mucus, pus cells and RBCs (Agarwal et al 1997). Toxicity: A series of acute (24 hour) and chronic (90 day) oral toxicity studies were carried out on an ethanolic extract of Piper longum fruit in mice. Acute dosages were 0.5, 1.0 and 3 g/kg, while the chronic dosage was 100 mg/kg daily. The extract caused no significant acute or chronic mortality compared to controls, although researchers noted that the extract caused a significant increase in the weight of the lungs and spleen, as well as reproductive organs, without any negative effects upon sperm count or motility (Shah et al 1998). Duke states that piperine and other Piper alkaloids are chemically similar to a mutagenic urinary safrole metabolite, and thus there is theoretical concern for carcinogenicity (1985), although feeding trials with Piper nigrum in experimental animals have failed to produce any negative effects at doses of 50 g/3kg in the diet (Shwaireb et al 1990). A few studies have associated the incidence of esophageal cancer with Piper nigrum, thought to be due to an irritative effect upon the esophageal mucosa (Ghadirian et al 1992). Indications: Poor appetite, dyspepsia, flatulent colic, constipation, dysentery, hemorrhoids, cholelithiasis, jaundice, splenomegaly, intestinal parasites, fever, hiccough, pharyngitis, coryza, cough, bronchitis, asthma, skin diseases, cystitis, coma, paralysis, epilepsy, amenorrhea, post-partuient, arthritis, gout, lumbago, circulatory problems. Contraindications: Due to its warming nature Pippalī is contraindicated in severe pittakopa conditions. Medicinal uses: Pippalī is without a doubt the most celebrated and widely used pungent remedy in Āyurveda, used as a simple home remedy in the treatment of disorders such as dyspepsia, coryza and bronchitis, and also as an important rasāyana dravya. In kuṭīprāveśikam rasāyana, the most potent rasāyana technique, the Cakradatta recommends that ten fruits be consumed with cow’s milk on the first day, increased by ten fruits on each successive day for ten days, and thereafter reduced by ten until finished (Sharma 2002). The Cakradatta also states that the daily consumption of Pippalī in the amount of five, seven, eight or ten fruits daily, taken with honey, also acts as a rasāyana, although the effect is less than in the former technique. Both these methods,, however, are stated to be effective for a wide range of conditions, including anorexia, dyspepsia, malabsorption, hemorrhoids, bronchitis, asthma, consumption, throat disorders, chronic fever, anemia, edema and paralysis. The Bhāvaprakāśa ascribes different therapeutic properties to Pippalī depending upon the anupāna. Taken with honey Pippalī specifically reduces medas (fat) and accumulations of kapha, and is stated to be a good treatment for fever, cough and bronchitis, with vajīkaraṇa and medhya rasāyana properties (Srikanthamurthy 2001). Taken with twice the amount of jaggery the Bhāvaprakāśa states that Pippalī is suited to the treatment chronic fever, dyspepsia, asthma, heart diseases and intestinal parasites (Srikanthamurthy 2001). 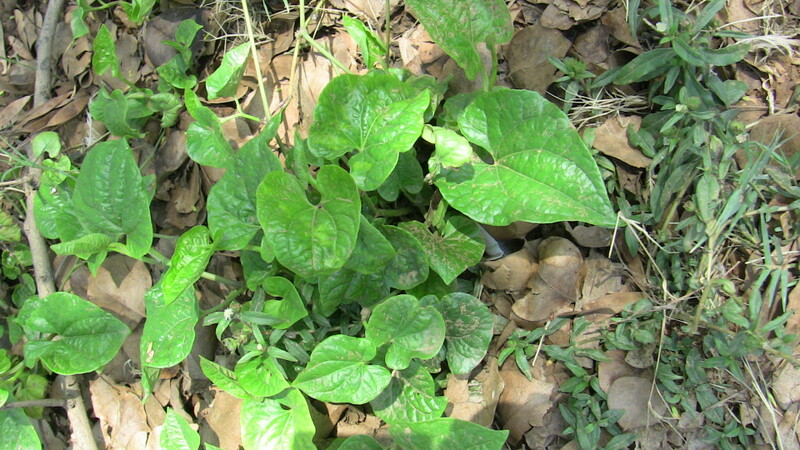 Although generally considered to be a pungent, warming herb, the effect is stated to be so mild that Pippalī can be used in the treatment of fever, although it is best reserved in vāta or kapha variants, with predominant symptoms such as body pain and catarrh, as opposed to a very high temperature. Although difficult to obtain in the West, the fresh green fruit is stated to have a śīta and snigdha vīrya, and is used specifically to reduce pitta (Srikanthamurthy 2001). Pippalī is most often found as part of the famous Trikaṭu formulation, comprised of equal parts Pippalī, Śūṇṭhī and Marica, used in the treatment of anorexia, dyspepsia, pharyngitis, catarrhal conditions, āma, coldness and poor circulation. Trikaṭu and Pippalī are found in literally hundreds of formulas as an adjunct to enhance the bioavailability or modify the effect of the other constituents in the formula. Prepared as a medicated ghṛta, the Cakradatta states that Pippalī is useful in the treatment of flatulent colic, splenomegaly and hepatic torpor (Sharma 2002). Prepared as a medicated oil, Pippalī is decocted with equal parts Bilva, Śatapuṣpā , Vacā, Kuṣṭha, Citraka, Devadāru, Śaṭī, Yaṣṭimadhu, Puṣkaramūla and Madana, used as an enema in severe hemorrhoids, rectal prolapse, dysentery, dysuria, and weakness of the lower back and legs (Sharma 2002). As a post-partuient emmenagogue to expel the placenta and to relieve pain the Cakradatta recommends Pippalī cūrṇa be taken with wine (Sharma 2002). • Cūrṇa: 2-3 g b.i.d.-t.i.d. • Ghṛta: 3-6 g b.i.d. • Tincture: dried fruit, 1:3, 1-2 mL b.i.d.-t.i.d.